Will The Fiat 500 Baby Jeep Be The Jeepster? 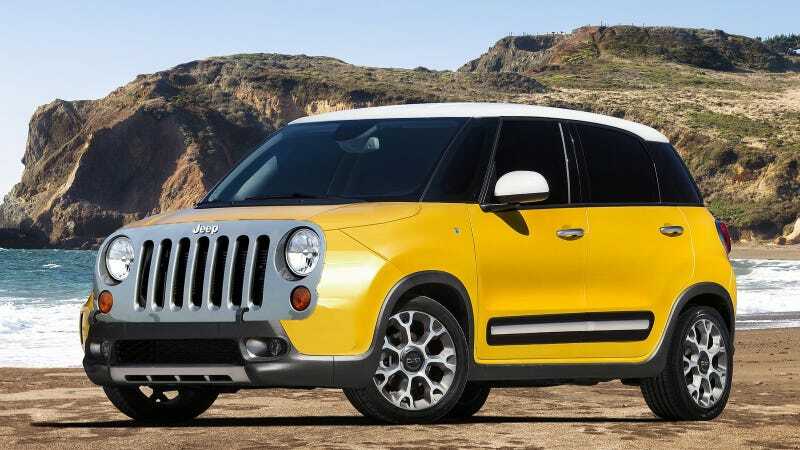 Drive.com.au is reporting Chrysler's well-known plans to repackage the five-door Fiat 500X as a Jeep will revive the "Jeepster" moniker to create a new bottom-rung SUV for Jeep's lineup. It may surprise you to learn that the name is not a nod to the 1971 single, but rather is a title Jeep has traditionally bestowed upon "car-like" vehicles. After World War II, Jeep had to diversify its offerings from military-only vehicles to remain relevant. So they built the Wrangler's predecessor the "CJ", along with a pickup and a spartan station wagon. In 1948, Jeep tried something they hoped would have even greater mass appeal: a passenger car dubbed the Willys-Overland "Jeepster." Reception was somewhat tepid and production ceased in 1950. The name resurfaced in 1966 with the Kaiser C-101 Jeepster Commando, a vehicle similar in concept to the previous Jeepster, and again in 1999 with a bubbliciously-90's car concept revealed at the Detroit Auto Show. With that history in mind, the choice to trot out the old nameplate once more on the latest "Jeep/car" makes a bit more sense. So purists can relax, we've been here before. The Aussies are speculating the new soft-roader will be available with both AWD and FWD options, as well as a range of gasoline and diesel engines. Though here in the US I reckon we'll be deprived of the latter. Spy shots don't reveal much beyond the fact that it looks like a Fiat 500 but I expect a bit more cladding and a vertically-slatted front grille, the which I speculated in the elegant render above. I wouldn't be surprised if a giant canvas sunroof was offered as well, to add a bit of outdoorsy panache. According to reports, the car is scheduled to be revealed at the 2014 Geneva Motor Show, and production is intended to commence late next year. Head of Jeep Brand Communication Todd Goyer declined to comment on the idea of the Jeepster or how impressive my render was, but he did confirm "a B-segment and new C-segment Jeep SUV [is] coming in the future."